As NB’s own Clay Waters has noted: “The tone is amazingly ideological and personally hostile, perhaps the most virulent and conspiracy-minded attack on Fox News ever issued by the paper, certainly the longest one, against some stiff competition.” Exactly true. 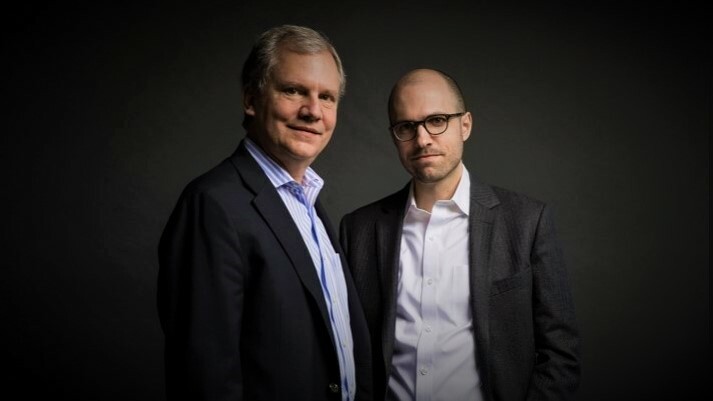 The New York Times has been controlled by the Ochs-Sulzberger family for more than a century. The right-wing populist wave that looked like a fleeting cultural phenomenon a few years ago has turned into the defining political movement of the times, disrupting the world order of the last half-century. The Murdoch empire did not cause this wave. But more than any single media company, it enabled it, promoted it and profited from it. Across the English-speaking world, the family’s outlets have helped elevate marginal demagogues, mainstream ethnonationalism and politicize the very notion of truth. [!] The results have been striking. It may not have been the family’s mission to destabilize democracies around the world, but that has been its most consequential legacy. What’s missing? Something so elemental its absence cannot be missed. Let’s take a stroll back in the history of – The New York Times. To a time long before the dawn of cable news. In 1966, former New York Times reporter Gay Talese – he had departed the prestigious paper after ten years – penned a hefty book that was titled The Kingdom and the Power: The Story of the Men Who Influence the Institution That Influences the World – The New York Times. In April of 1961 “The Times decided not to publish all it knew” about the Bay of Pigs invasion, in deference to its friends in the Kennedy administration. On and on goes The Kingdom and The Power on the global power and influence of The Times, its owners and its reporters and columnists. In other words? Long before the dawn of cable news, and long before Rupert Murdoch arrived in America to expand his Australian newspaper empire, The New York Times and the Sulzberger family that owned it ruled the media roost. And now – they don’t. Because of Rupert Murdoch’s newspaper and television genius, the Sulzberger influence on the world and in America has been overshadowed by Murdoch’s News Corporation and Fox News. The America where attention was paid to Times columnists and their dominating left-wing world view has vanished – replaced by massive audiences listening in prime time these days to Tucker Carlson, Sean Hannity and Laura Ingraham. Breakfast is not about reading The Times – it’s about tuning in to Fox & Friends. The Times hit job on the Murdochs and Fox News is furious that the President of the United States – on whom they spent volumes of print and cyber-ink insisting he would never win-calls not them but Rupert Murdoch and – oh the horror!!!! – Sean Hannity. Whatever else lies ahead for the Murdochs and Fox News, it is very safe to say that this spittle-flecked Times hit job is in reality nothing more than a testament to just how effectively The Times monopoly and that of the larger Leftist State Media has been eviscerated- once and for all.